Venomite Studios has created several in-house projects and is now also offering game-dev related services and custom 3D solutions. Below you will find the projects we are most proud of. 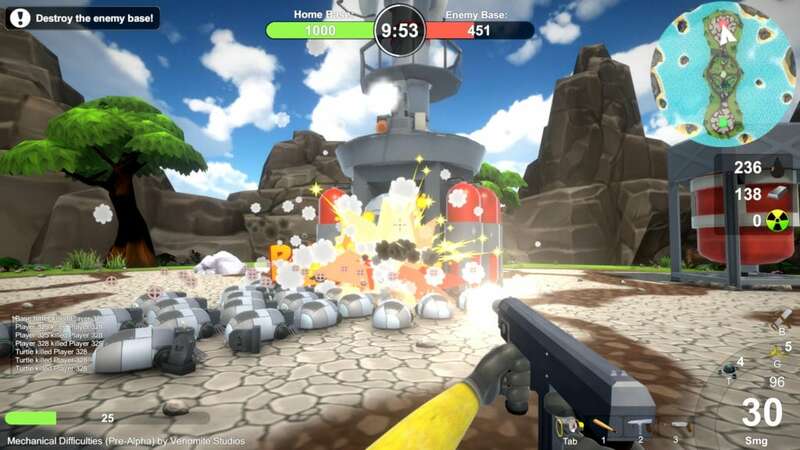 Mechanical Difficulties was a goofy multiplayer first-person shooter that implemented real-time strategy gameplay features. 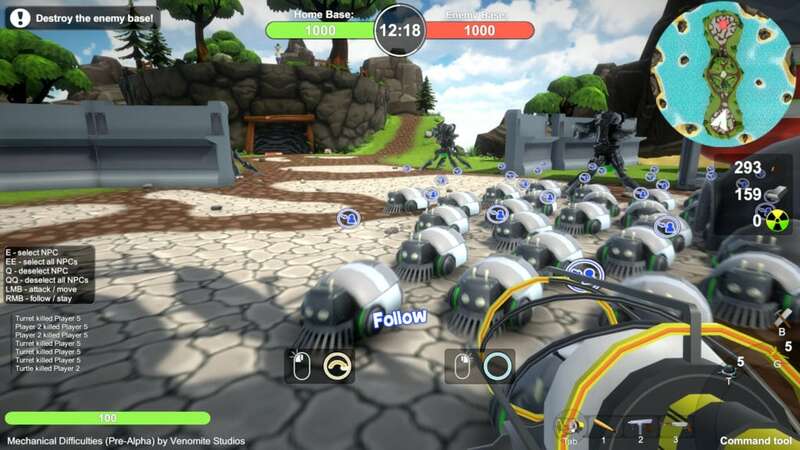 You could gather resources, build your base, create an army and command that army into battle with you. During the development of Mechanical Difficulties, the CEO of Venomite Studios – Paul Sokk, went through several ventures trying to raise funds and make it the main project of the studio. The project started in October 2017 and was shut down in March 2019, when Paul felt his ambitions moving away from the project. 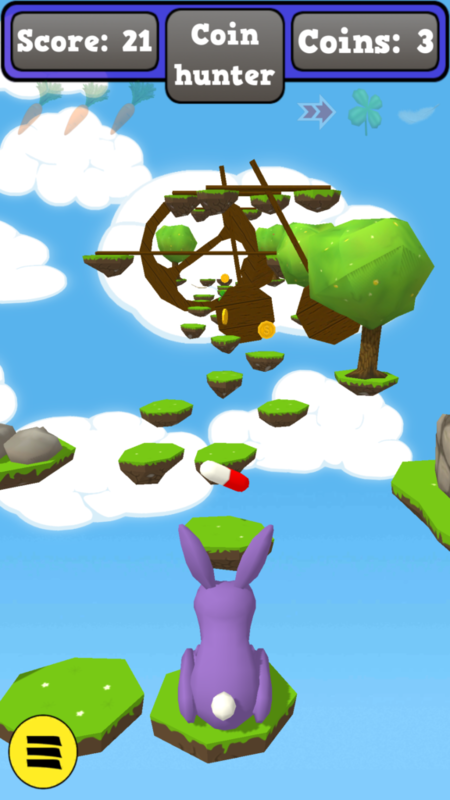 Bunnyhop is a casual fun mobile game for everyone. It’s an endless jumper game where you have to swipe on the screen to jump from one platfor to another. You have to time your jumps right, so that you don’t hit any obstacles or don’t stay on dangerous plaforms too long. Bunnyhop got it’s inspiration from other legends such as Temple Run and Subway Surfers. 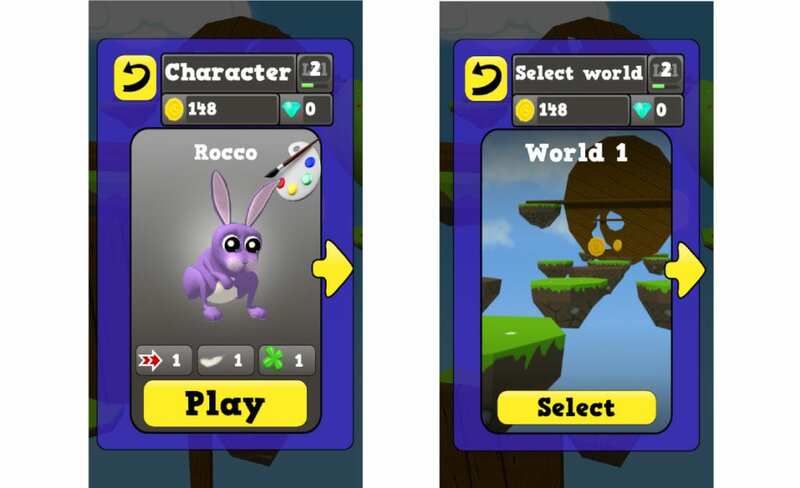 The development of Bunnyhop started in July 2014, and it was released for iOS and Android Q1 2015.